Methodological discussion has largely been neglected in human rights research, with legal scholars in particular tending to address research methods and methodological reflection implicitly rather than explicitly. This book advances thinking on human rights methodology, offering instruction and guidance on the methodological approaches to human rights research. Seeking to bridge the methodological deficit often compounded by the interdisciplinary nature of human rights research, contributions by leading scholars in a range of evolving fields, provide an up-to-date assessment of human rights methods. The various chapters apply these methods to different substantive areas including discrimination, the right to food, the right to water, public health and gender. 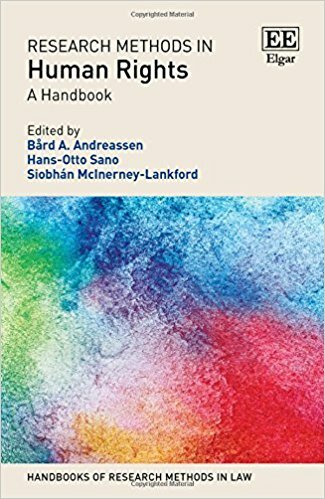 This book gives a comprehensive treatment of disciplinary approaches, discusses methodological options and provides advice on how best to conduct human rights research in the crossroads of different academic disciplines. Accessible and engaging, this book will be of keen interest to students and scholars working in human rights research, both those approaching it from a legal standpoint and those of other social science disciplines. Both practical and timely, the book will also lend itself to human rights practitioners and policy-makers.